Bitcoin Press Release: HYPER has been fully integrated into the free market trading platform for in-game resources in MMO RPG Dragon Knights of Valeria. The HYPER project runs over 10 HYPER enabled game servers including CSGO, Counter-Strike: Global Offensive, Rust, Poker and much more.The official HYPER strategy and roadmap document was also recently released. Over a year old, HYPER is pleased to announce that it has been fully integrated into MMO RPG Dragon Knights of Valeria. Anyone can now deposit and withdraw HYPER; trading it for other in-game resources as players build up their kingdom. Dragon Knights of Valeria is a popular MMORPG game with over 400 players. Players can earn HYPER, GoldPieces and Dragon Points (DP) as they play the game which can then be traded for up to 7 different cryptocurrencies and withdrawn in-game. The creator, Anarchist of Crypto Database, is also responsible for curating a CC library that catalogs over 1,300 different coins and supplies information for each one. “Once inside the world of Dragon Knights of Valeria players can explore the map in search of new towns, fight monsters for rewards and DP, and do quests that also award DP for each part completed. Each town offers its own set of equipment, pets, quests, exchanges, gambling, banks, clans, and assorted other options. As well as HYPER, Dragon Knights of Valeria has also integrated online RPG gaming digital currency GoldPieces (GP) into the in-game free market trading platform. GP had no premine, and is a currency designed for online RPG gaming specifically. HYPER and Goldpieces are the only currencies with this level of integration in Dragon Knights of Valeria, and HYPER remains the top sponsor of the innovative online MMORPG. Dragon Knights of Valeria also has an in-game tip bot, where anyone can be tipped free HYPER and GP simply for playing, and contributing to the community in chat. Recently celebrating its first birthday, the HYPER project has also released the official HYPER roadmap and strategy document. The document outlines the unprecedented cryptocurrency gaming ecosystem HYPER has established in its first year of existence, and where the project is heading. “HYPER to be known and used by all serious gamers worldwide. 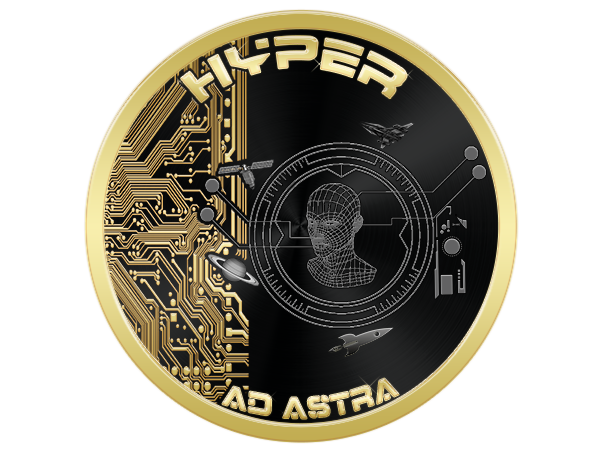 HYPER is the ultimate disruptive gaming digital currency with hundreds of online games and servers that utilize HYPER as the in-game currency. HYPER has a diverse and unprecedented ecosystem, that provides many unique opportunities for gaming, trading and profit. HYPER currently runs over 10 game servers with full HYPER integration including CSGO, Counter-Strike: Global Offensive, Rust, HYPER Wars Space Strategy, Hyperzanda, Poker, and much more. Releasing the new HYPER Strategy and Roadmap document, and with HYPER integration in MMORPG Dragon Knights of Valeria – HYPER continues to cement its position as the leading gaming cryptocurrency. This press release is for informational purposes only. The information does not constitute investment advice or an endorsement by Bitcoin Magazine or BTC Media, LLC. Bitcoin Magazine does not certify the accuracy of the above information provided by HYPER. Grexit Digital Currency Long Term Solution? Co-Founder of DNotes, Alan Yong Shares His Vision.